Right now, the Trump administration is considering erasing Endangered Species Act protections for gray wolves. 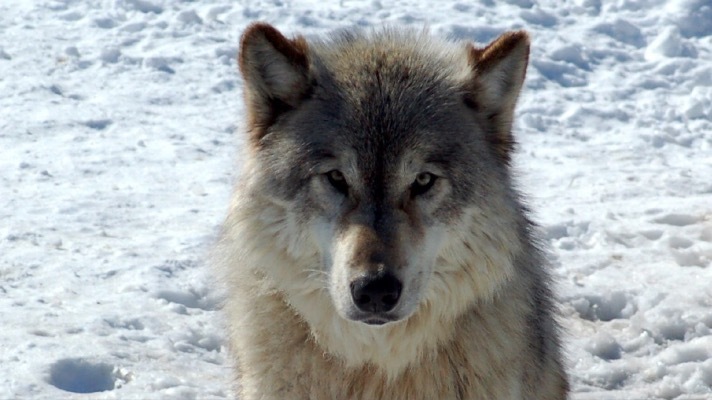 Without continued protection, gray wolves in America would be in danger of vanishing forever. Tell President Trump: Gray wolves need Endangered Species Act protection. If wolves lose Endangered Species Act protection, nothing would stand between these incredible animals and catastrophic hunting. Killing on the scale seen in the Great Lakes would be a disaster for America’s remaining wolves. Wolves nationwide deserve our protection from this fate. They are an irreplaceable part of the American landscape and a critical component of balanced, healthy ecosystems in their natural range. The protection of the Endangered Species Act keeps wolves away from the brink of extinction. Once wolves are gone, they’ll be gone forever. We can’t let that happen. Tell President Trump: Our irreplaceable wildlife should not be hunted to extinction.Act today to tell the Trump administration that wolves should be here to stay. 1. John Flesher, “Feds may drop gray wolves from endangered species list,” Detroit Free Press, June 14th, 2018. 2. Joe Difazio, “Trump administration considers ending protections for endangered gray wolves,” Newsweek, June 14th, 2018. 3. Matt McKinney, “Court: Great Lakes wolf hunt must stop,” StarTribune, December 19th, 2014. 4. Mike Koshmrl, “Jackson wolf hunt zone closes,” Jackson Hole News & Guide, October 17th, 2017. 5. John Spina, “Wyoming sets wolf population goal of 160,” Jackson Hole News & Guide, May 24th, 2017.